Yesterday the members of June's Diary (Gabby, Kristal, Shyann, Brie & Ashly) were a special guest on Dash Radio in Los Angeles. Their mentor/choreographer Frank Gatson also joined them for the in-depth interview. During their chat with the hosts that spoke about their debut single "L.A.N.C.E." & the upcoming plans for their music careers as a emerging group. 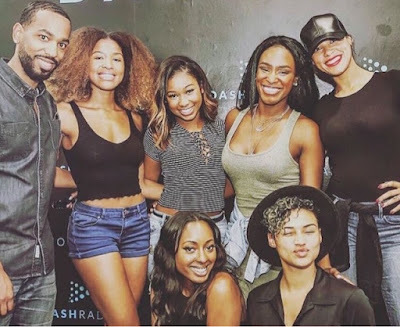 The ladies exclusively announced that they would be releasing an EP that would feature production by Harmony Samuels, The Stereotypes, Dem Jointz & Haze.